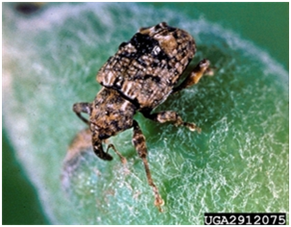 Plum Curculio - AgBio, Inc. Plum Curculio (Conotrachelus nenuphar) is a fruit pest attacking apple, nectarine, plum, cherry, peach, apricot, pear and quince. Adults eat holes in fruit and then lay eggs. The lure is two component, pheromone + plant volatile. 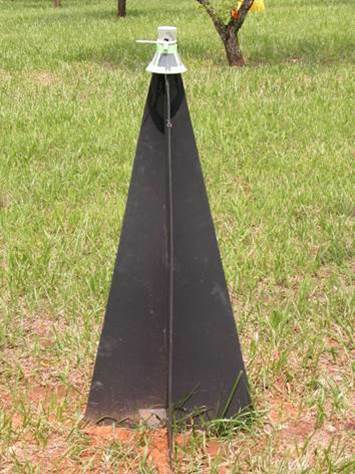 It is used in Dead-Inn pyramid traps for monitoring or can be placed in trees. Visually attractive trap that exploits tendency to walk up vertical surface and captured into a single collection device.